Well, here we are, at the end of another year. I can’t quite believe it, but Epheriell turned 7 this year. I want to say a huge THANK YOU to each and every one of you for supporting our little business this year – and every year before. Nick and I love crafting jewellery just for you – and we’ve had some wonderful feedback and stories from you this year about what your piece of Epheriell jewellery has meant to you and those you love. We’re planning on taking a little making break over the Christmas/New Year period (including a week we’re spending at the Woodford Folk Festival (make sure to look me up in the Artisania schedule if you’re coming to the festival – we’re doing metal crochet jewellery workshops!). 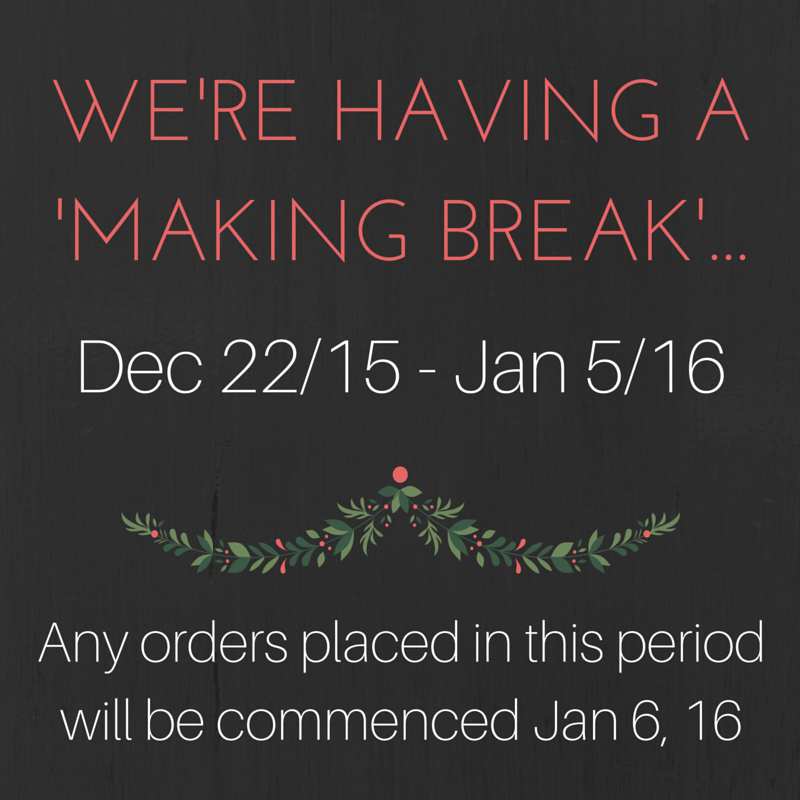 The shop will remain open, but we won’t be working on any orders during this period – which is December 22nd, 2015 to January 5th, 2016. If you place an order on December 22nd through to January 5th, your jewellery will be in the queue to get made come January 6th. It will be posted and in the mail to you within 5 working days of that date. We’ve had a freaking awesome year – thank you so much for supporting our little business in 2015! You really do help us to ‘live the dream’ each and every day, and we couldn’t be more thankful that you choose to spend your hard-earned money on one of our designs. It means the world to us.